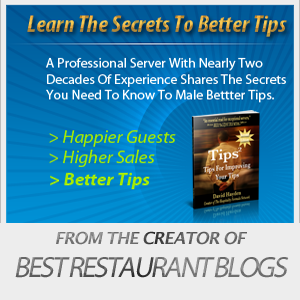 Best Restaurant Blogs is designed to be sort of a communal reading list for restaurant professionals. What separates it from other sites is that it is exclusively focused on restaurants and the content is submitted by readers like you. I hope you enjoy the articles posted on this site. Here are a few ways you can get the most out of this site. Register: I know, I hate signing up for websites too. The registration here is the bare minimum information and I promise not to spam you ever. There are however huge advantages to signing up that cannot be offered without it. You can add stories to the site. If you think email spam is bad, try running a site like this. Registering is the safest way to keep the site from being spammed with junk links. It also will allow you to share your favorite stories with the group which is how the site gets even better. You can save stories. Once you are signed in, the option to “save” a story comes up. This is great for times when you don’t have time to read a story, but want to remember to read it later. Easily one of the coolest features of the site. Visit our friends: The right side of this page is full of other great sites about the restaurant industry. 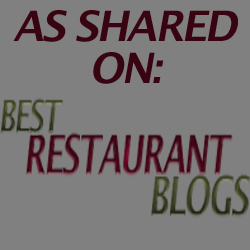 Most share some of their content with us, but you can find many more articles on each of these restaurant blogs. This site was built to help build the presence of restaurant industry writers online, allow you to share your favorite writers, and hopefully discover some new voices. I am truly glad you stumbled across Best Restaurant Blogs and hope you will return soon.